IPAR has secured a research grant through the National Breast Cancer Foundation. The grant will help IPAR to support those who have been diagnosed with cancer to optimise their wellness and quality of life through participation in work that is suited to their needs. It’s an exciting and important initiative for a cause that is close to many of us. 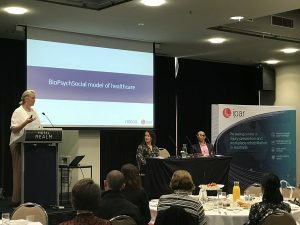 The successful grant comes after years of commitment led by Dianne Sheppard (Monash University), the collaborating team at Curtin University headed by Associate Professor Georgia Halkett, and Dorothy Frost (Work Health Group). Valuable input also received from Georgina Lamb and Stephanie Vujacic (IPAR), and Carly Van Den Akker and Nick Mingo (Swiss Re). Of course, the work doesn’t stop there. We will formally commence the first stage of this research project through a pilot with AIA Australia in the coming weeks. 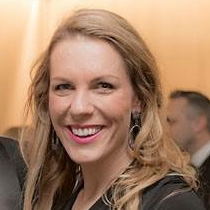 Georgina Lamb, IPAR National Manager – Business Development, is the co-recipient of the HBGW Australian SSG Chair Award for Contribution to the HBGW Initiative along with Ms Simonie Fox, Group Strategy Specialist Rehab/Claims, AIA Australia. The Award has been established by the HBGW Australian SSG Executive to acknowledge the enormous effort members devote through their involvement in the HBGW initiative. The 2017 recipients were nominated by their peers for significant and influential contribution. Ms Lamb works tirelessly to support the HBGW Australian SSG communication agenda. She regularly brings innovative and creative ideas to improve understanding of the research underpinning the HBGW for those not yet involved. Her knowledge of the challenges faced by employers in delivering good work has influenced SSG forum speaker presentations and publications. Of course, these individuals rely on the support of their organisation to give their time and expertise. We therefore take this opportunity to recognise AIA and IPAR leaders for supporting the inaugural winners. 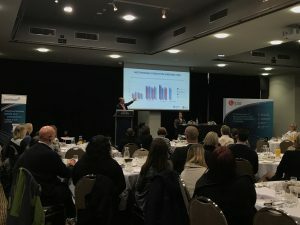 Canberra: IPAR hosted the latest breakfast forum exploring the impact of compensation on recovery at Hotel Realm in Canberra on Thursday, 7 September. Over 100 customers including employers, insurance agents and representatives from government agencies listened to the expert panel share research and insights on why people with compensable injuries tend to experience poorer functional outcomes than those who sustain injuries that are not compensable. 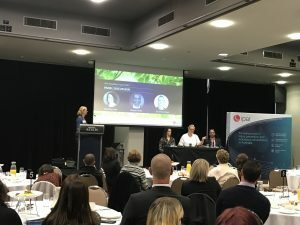 Many thanks to speakers Dorothy Frost, Manager – Research and Innovation at Work Health Group, Dr Simone Ryan, Occupational Physician with mlcoa and Shehan Peiris from AP Psychology and Consulting Services. 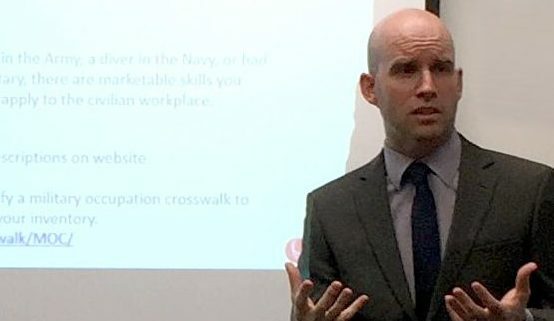 In addition to an overview of recent local and international research, the panel also explored practical solutions such as motivational interactions and client centricity to reduce the negative impact of compensation on recovery and return to work outcomes. Shehan Peiris, AP Psychology & Consulting Services. IPAR has been appointed by Medibank Health Solutions to a provider panel to supply Rehabilitation Healthcare Services to Australian Defence Force (ADF) personnel as part of Medibank’s Garrison Health Services (GHS). This major appointment will see IPAR assist injured or ill ADF personnel to recover and return to work and wellbeing. Whether the services support ADF personnel to return to ADF employment, or transition to the civilian work environment, IPAR is honoured to give back to those ADF personnel who serve and protect us every day. In anticipation of the increase in services referred through the GHS rehabilitation panel, IPAR will be appointing additional rehabilitation specialists across their national office network. These specialists will join the ever-expanding IPAR team, all of whom will benefit from a growing number of career development and promotional opportunities resulting from this new panel appointment. For further information on the GHS rehabilitation panel appointment, please contact National Account Manager, Alison McIlveen on amcilveen@ipar.com.au or 0448 180 535. IPAR’s work in assisting military personnel to make a smooth and successful transition to civilian employment will continue in the new financial year after having their appointment to the Career Transition Assistance Scheme (CTAS) panel for 2017/18 confirmed. 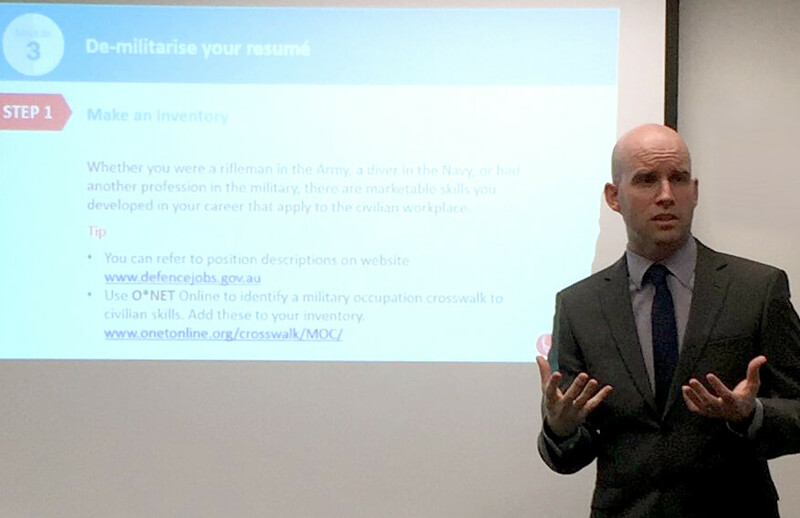 Under the CTAS panel, IPAR delivers the Job Search Preparation Program (JSPP) to Australian Defence Force members who have served less than 18 years. The program aims to support transitioning members gain suitable and sustainable employment that is a right match for the individual. A key component of the program is upskilling members in the difference between military and civilian roles and organisational structure, and illustrating how the skills learnt in the military can be translated and are of benefit to the civilian working world. Members are empowered and motivated by experienced trainers who are passionate about breaking down employment barriers and seeing successful outcomes for their participants. JSPP will be provided in all regions across Australia via IPAR’s national office network and we look forward to continuing to add to the impressive program results achieved to date. For further information on our panel appointment, please contact National Military Account Manager, Alison McIlveen on amcilveen@ipar.com.au or 0448 180 535. IPAR has been named a finalist in the category of ‘Service Provider to the Insurance Industry of the Year’ at the Australian Insurance Industry Awards, co-hosted by the Australian and New Zealand Institute of Insurance and Finance (ANZIIF) and Asia Insurance Review. This is the 14th year of the awards which celebrate the broader insurance industry, its services and innovation. The Service Provider category in particular focuses on businesses that support the industry to be more effective in their day to day operations and improve the lives of the many customers they work with. There were 106 submissions in this year’s awards (a record number) and IPAR is the only rehabilitation provider shortlisted in the service provider category. 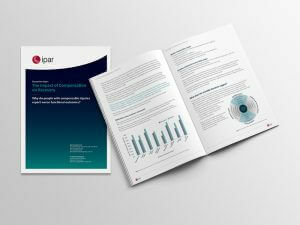 IPAR’s submission focused on the work undertaken in improving client’s lives through the many health benefits of good work, while limiting the financial and social impact of injury and illness on clients and the insurance industry. IPAR’s Positivum assessment and health coaching program was cited as an example of innovation in return to work services and how IPAR is constantly seeking to address emerging trends with the latest best practices. Winners will be announced at the annual awards dinner, held on Thursday 31 August 2017. IPAR’s expansion in regional New South Wales continues at pace, after the recent opening of our newest office in the Riverina town of Wagga Wagga. The opening comes after many months of providing services to the town via our Albury office. However, as the need for local services continued to grow, it was obvious that a permanent, local office would drive the best outcomes for injured workers, local employers and insurers. 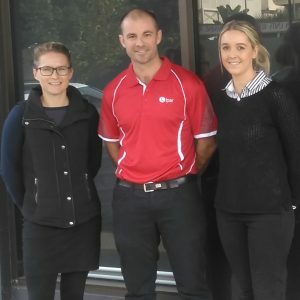 Mitchell Clark, Exercise Physiologist and Riverina Regional Manager, set about establishing the office, now open in the centrally located Chambers Building on Fitzmaurice Street. Mitchell was delighted to recruit to the team an original Wagga Wagga resident, Jessica Lewington, who was looking to return home to Wagga after a spell in Sydney. 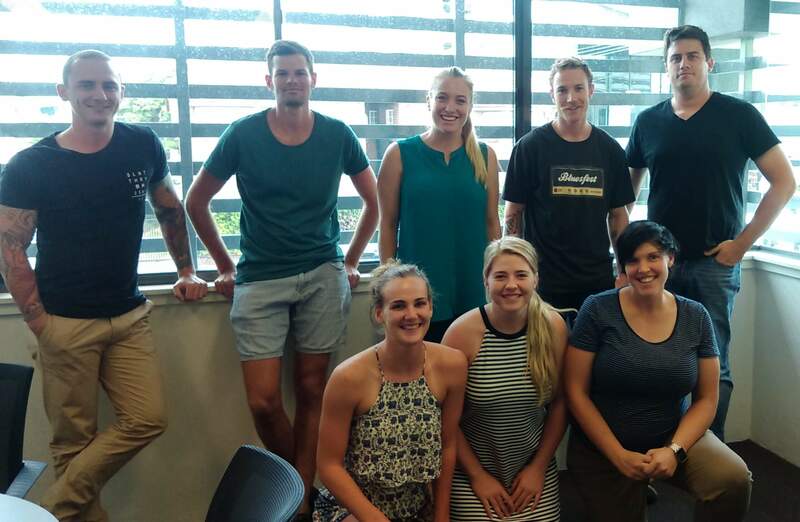 Jessica, a Physiotherapist, is enjoying being back in her home town and reconnecting with the local community. The Wagga team will deliver a full suite of injury prevention and return to work services for physical and psychological claims. The support of IPAR’s Albury office continues, with long-term team member Kelsey Shaw, Occupational Therapist, mentoring Jessica and providing additional case management assistance as required. The Wagga Wagga office is the most recent opening in an expansion plan that will soon see offices in Orange, Dubbo and Port Macquarie. Team Leader and Branch Management position recruiting efforts for those offices are currently underway – please talk to our recruiting team at careers@ipar.com.au for further information. Our well-received Industry Insight Series breakfast forums were held across Australia in late 2016. The topic, The Impact of Compensation on Recovery, asked why do people with compensable injuries report worse functional outcomes than people with non-compensable injuries? And what can we do about it? Many attendees expressed an interest in further information on the topic, which led to the development of a discussion paper: The Impact of Compensation on Recovery. Authored by Dorothy Frost, Group Manager Research and Innovation and Dr Dianne Sheppard, Monash University, the paper delves into some of the complexity surrounding recovery and compensation. The paper also provides further information on two recommended approaches presented by expert speakers at the seminars – Behavioural Insights and Motivational Interactions – which have the potential to support improvements in recovery outcomes. Adding to the growing team that makes up IPAR’s Life Insurance division, we are delighted to announce long-term IPAR team member Arnela Campara has been appointed to the newly created national role of Life Insurance Technical Manager, effective 1 March 2017. Arnela has been with IPAR for over six years. During this time she has demonstrated a high level of expertise in Life Insurance, playing a key role in the development of our Life consultant group in Victoria, and acquiring a strong reputation for quality and high level customer service amongst our Life customers. Arnela brings this experience to her new position, where she will be responsible for improving efficiencies for consultants and teams, developing consultant capability and confidence, and ensuring our quality metrics and return to work rates surpass industry benchmarks. Arnela joins IPAR’s Life Insurance leadership team along with Stephanie Vujacic, Life Insurance Account Executive and Georgina Lamb, National Manager Life Insurance. IPAR has been successful in securing a contract with the Australian Defence Force (ADF) to deliver two day training and coaching courses under the Job Search and Preparation Program. 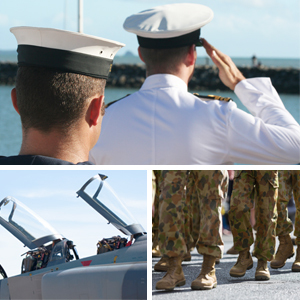 ADF members who are electing to leave the military and have served up to 18 years, can attend the courses and receive appropriate upskilling and coaching to assist with this transition. The courses are being facilitated by experienced IPAR trainers and offered across 20 locations in all states and territories. Over two days, members receive education and upskilling opportunities in resume development, application letters, preparation and performance for interviews, and job search strategies and advice. The course also addresses some of the key differences between military and civilian employment to assist ADF members with their career transitions. The courses commenced across Australia in October and already the feedback has been positive. Members have commented on the high quality of the trainers, the high applicability and relevance of the content, and have found the overall experience to be valuable and motivating. Following the course, an additional two hours of one-to-one coaching can also be requested by ADF members. 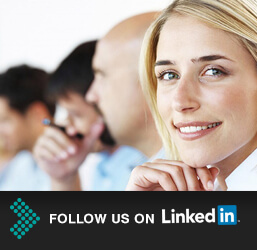 This extra coaching provides more individually specific job seeking assistance for the member and consolidates the learnings from the course. The two day training courses are in addition to the Curriculum Vitae Coaching (CVC) and the Career Transition and Management Coaching (CTMC) services which IPAR are also providing to ADF members.